Buildings are a social and cultural product, and society’s biggest aspiration. Considerable money, time and effort are invested into constructing buildings, but what happens after they are built? PRABHU RAMACHANDRAN looks at how the next 10 years will change the way we think about buildings. Buildings are ubiquitous assets that influence people, their beliefs and their aspirations. And once built, these structures last for decades. With the world changing faster than ever before, and the populations of its urban areas skyrocketing in recent years, the need for new buildings has continued to grow. However, the depth of thought and planning that goes into the ‘design and construction’ stage seldom cascades into the post-construction phase of day-to-day operations of buildings. Why is that? Is it because of our walled-garden understanding of the problems needs to be solved? Research indicates that five to six times more money is spent on operational costs than on construction costs. While most other industries have undergone tremendous transformation owing to process and product innovations over the last few decades, the engineering and construction sector has been hesitant to fully embrace the latest technological opportunities. With IoT and machine learning, the dynamics of operating and maintaining a facility are changing, in turn impacting how we experience buildings. 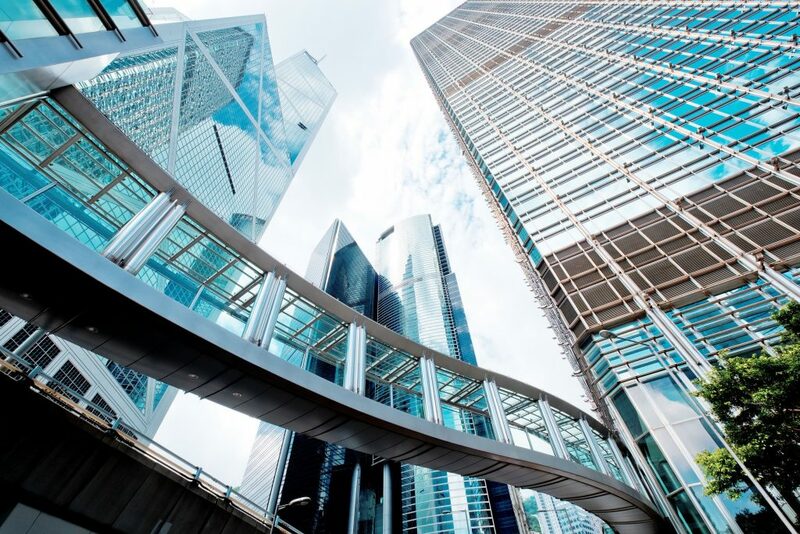 Technology can today be leveraged to connect together the three integral parts of a building – people, sustainability and machines – in real time, to help the built environment achieve continuous efficiency across portfolios. Here are three major areas where tech can solve the most critical problems experienced by facility managers, property owners and tenants. Commercial real estate is highly commoditised today. Competition is high and return on investment (ROI) is critical, particularly in the real estate market where cost variance can go out of control dramatically. Every property owner wants to ‘out-amenitise’ the property next door. Finding good tenants and keeping them happy is mission critical because it directly affects the investment cycles. And to achieve this all boils down to the experiential attribute that tenants typically prioritise. As an example, a malfunctioning air-handling unit (AHU) can significantly impact workplace productivity for a business by distributing either too-cold or too-warm air that doesn’t correspond with the climate outside. Despite having all the building code guidelines in place, CRE (commercial real estate) owners have zero to minimal mechanisms to meet and support these standards due to legacy building management systems that are reactive and inflexible. A well-serviced building has a crucial effect on both the environment and also on tenant business continuity, impacting end-user perceptions and thereby eventually augmenting the real and perceived value of the property. CREs have long been relying on comparative benchmarking and market trends or automation from traditional vendors that leave them wanting with respect to modern, predictive facilities management. It is time CRE owners started looking at software-led technology to help manage their distributed portfolio, even in scenarios where multiple FM vendors and different vendor building automation systems (BAS) exist across facilities. This will not only help them improve investment economics, but also ensure they provide superior tenant experience. Buildings account for nearly 40 percent of the world’s energy use. Despite several process changes and even some automation attempts to try and stem the consumption of energy by buildings, none have really stood out that embed ‘sustainability’ as an everyday practice. Let’s take a quick look at how legacy building management systems (BMS) function. Massive amounts of energy data stay locked inside the numerous energy-producing machines and their associated automation systems. This siloed, unstructured data buries useful insights that could otherwise help optimise operations and accelerate energy efficiency consistently across a building portfolio. Fast track to today, the age of smart buildings, and software-led automation is set to transform the operational efficiency of buildings, from tracking consumption patterns and predictively fixing problems to improving workforce productivity and enhancing experience. With IoT-led applications, what was previously a monthly consumption tracker on a spreadsheet can now be an instant notification on a mobile when energy exceeds the baseline (of yesterday) in site A with a reason like ‘a chiller with broken pipe valves’. At the same time, facility teams can immediately be assigned a work order and address it, armed with the right set of information in hand, even before it affects tenant experience. Buildings are complex structures. A sea of machines and equipment goes into maintaining one and keeping it functioning smoothly. In the context of buildings, technology has long existed in the form of legacy building management and automation systems. However, this multitude of disparate, siloed sensors, electromechanical equipment and control tools in place for HVAC (heating, ventilation and air-conditioning), lighting, fire safety, life, security and more has brought with it its own set of challenges. Traditionally, these systems were designed to be localised and self-contained in nature, with no sharing of information necessary. For example, an issue with an AC unit would only be fixed in a routine preventive maintenance schedule, when it had already entailed costs due to premature wear and tear of the equipment, and caused problems with the associated impact on tenant experience and workplace productivity. With IoT (Internet of Things)-driven applications, the enormous amount of data generated by these siloed systems can now be constantly monitored, analysed and acted upon in real time. Moreover, facility teams can get ahead of the curve, know when machines are nearing their maintenance threshold, identify patterns with useful insights, and predictively work on them before a breakdown. If we are to understand buildings and the people and environment with which they interact, we must start developing the ‘intent’ to deeply improve their daily functions in the long run. With IoT and machine learning, the ability to capture, analyse and use the massive amounts of data already existing within building systems presents a fantastic opportunity to address the most common yet impactful pain points in facilities. Software-led technology will continue to truly change the way we experience buildings. Prabhu Ramachandran is the founder and CEO of Facilio Inc, headquartered in Atlanta (US). Facilio is a facilities optimisation platform that harnesses IoT and AI to drive real-time operational efficiency across real estate portfolios. Ramachandran’s career spans 18 years of product, business and customer experience focused on enterprise-scale software for IoT-based connected services, sustainable building solutions, and telecom network management. For more information please visit: https://facilio.com. This was originally published in the Apr/May 2019 issue of FM Magazine.